With the all-in-one T-Box, a pre-configured TimeTec Web will be setup and shipped to you in a small form factor hardware. No more worries about setup!! 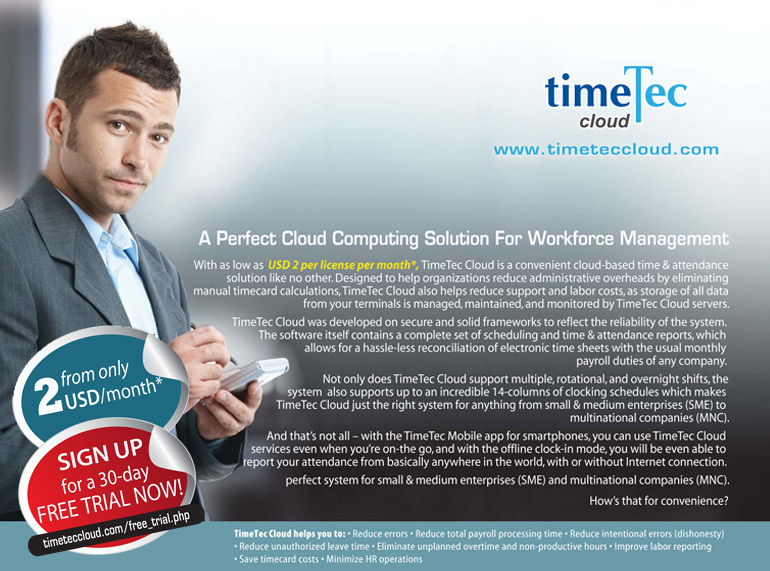 TimeTec web is suitable for companies with multiple branches, as attendance data can be simply centralized under one account and viewed by the headquarters. With 26 pre-configured reports available on TimeTec web, all you have to do is choose one that is suitable for your department, and hit “Print”. Whether you prefer your reports to be saved in .pdf, .xls, .doc, .rtf or .html format, TimeTec web provides it all! Have another system that you wish to integrate? 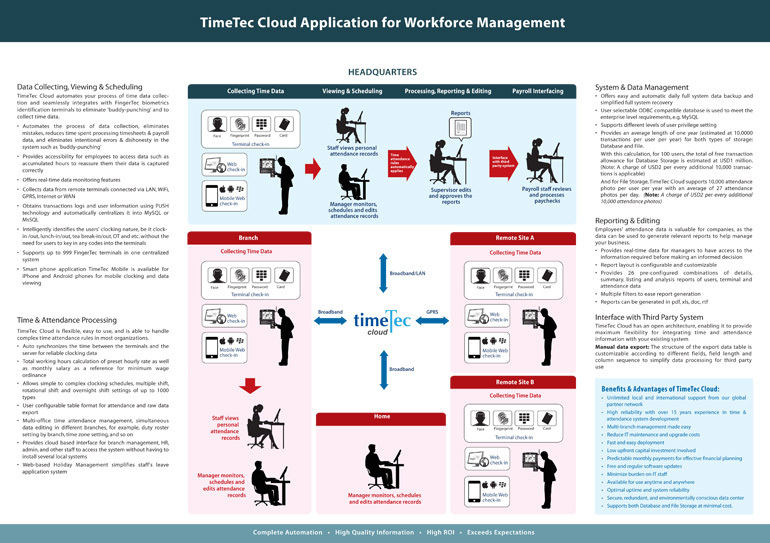 TimeTec web has an open architecture, enabling it integrate time and attendance information with your existing system smoothly. The mobile app, TimeTec web allows you to clock-in, check attendance history, and generate reports, all while you’re on-the-go! Offers easy setup of multiple terminals from one centralized system. Group the terminals for easy management and reference. Provides the feasibility to check, trace or export the terminal raw data. Provides a user friendly interface to manage thousands of users profile details. Management of user's terminal identity such as username, privilege, password, fingerprint or face and etc. 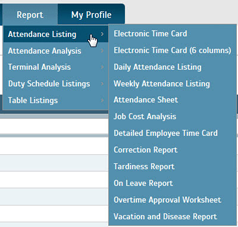 Administrators can monitor current attendance reporting or door access records of every user from the same page. Users' attendance records are available for editing and viewing by user and authorized administrators. Able to configure individual or group duty roster with the calendar based user interface. Provides 26 preconfigured combinations of details, summary, listing and analysis reports. Multiple filter options are provided to meet diverse needs. Save Reports Into Various Format Able to save the generated reports into various formats like pdf, xls, doc, rtf and html formats for printing and for integration purposes.